Why the international poverty day is a little special this time? Today is the International Day for the Eradication of Poverty, which was adopted by the UN in 1991 and has been celebrated since then. This year, the day commands a little extra importance. Here is why. The era of Millennium Development Goals (MDGs), which the world adopted at the dawn of the new millennium, is coming to a close. The goals and targets under the MDG framework were planned to be achieved by the end of this year. Target 1 under Goal 1 was to halve the number of people living in extreme poverty between 1990 and 2015. Putting such a focused and quantified target for global poverty reduction was a big step. Most of the agencies which work in the development sector and governments are currently taking stock of how countries and sub-national regions have performed against the Goals and Targets. From the beginning of next year, the world will have a new development agenda, guided by the by the Sustainable Development Goals (SDGs) framework. In crude terms, SDGs are the next-steps after MDGs. 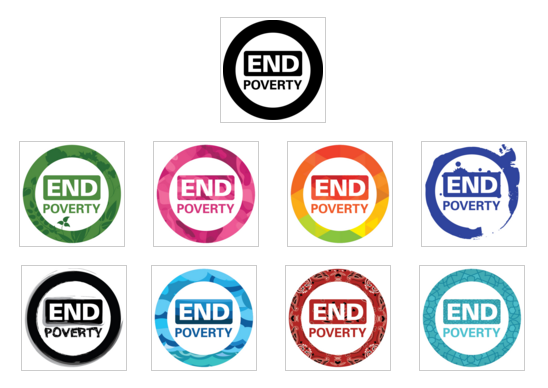 Target 1 of Goal 1 is to “eradicate” extreme poverty for all people everywhere by 2030. We’re not talking about halving or reducing but eliminating. If achieved, this could be the single-most important milestone in the history of global poverty-alleviation. With the Nobel prize in economics having awarded to Angus Deaton “for his analysis of consumption, poverty, and welfare”, poverty has regained the world’s attention. Earlier this month, the World Bank adjusted the extreme poverty line from $ 1.25 to $ 1.90 per person per day. The Oxford Poverty and Human Development Initiative is working on a Multidimensional Poverty Index for the post-2015 era. Significant work is being carried out elsewhere too. So the international poverty day this year is an apt occasion for everybody to look back and ahead; what and how we have done for the past 15 years and what and how we are going to do for the next 15 years. It’s a good sign that a lot of agencies and governments have started to act on the SDG framework, though not everyone likes it. For instance, Bibek Debroy, a member of NITI Ayog, which is a key government panel for policy, recently lamented that having so many goals and targets would drive governments ‘nuts’. It is true that the SDG framework has more number of Targets and possibly Indicators too, compared to the MDGs, but looks like that’s the way we’ve to take, considering the consensus SDGs enjoy as the key to the next phase of development. Click here and here to read more about the international poverty day. The above image is taken from the first link. It is a set of logos which one could use to spread the message on social media channels. Next Next post: My 1,000-days countdown starts today!